I began to write, very young, initially as a poet. Over time, I began to think about theatrical writing as one of the forms of poetry (dramatic poetry, as Aristotle defines theatre). What I’m most interested in, in dramaturgical work, is the ability to transfigure reality in order to reveal its true character: to use the theatre to reveal the epic, religious, mysterious nature of reality. I’m not so interested in naturalism. I believe in a theatre that it is not a comment to the existent one, but a rite, the only way for trying to touch a certain truth of an era and of humanity. Fabrizio Sinisi (Barletta, 1987) is a poet, playwright, translator and literary critic. He graduated in Modern Letters at the University of Bari “Aldo Moro”, specializing in Modern Philology with a thesis in Theatre History on the work of Giovanni Testori and Pierpaolo Pasolini. As a poet he published The Fame (Finalist Prize Camaiore, Archinto, Milan 2011) and the recent Contrasto dell’uomo e della donna (CartaCanta, Forlì 2014), presented during the XXVII edition of the Turin International Book Fair and finalist in the 2015 edition of the Carducci Prize. 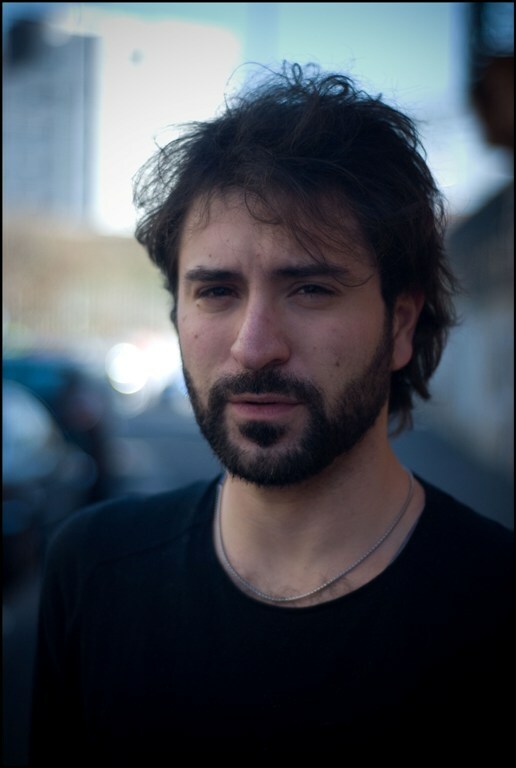 Born as an author within the Compagnia Lombardi – Tiezzi in Florence, in 2011, when he was only twenty-three years old, he became a stable playwright, collaborating in the realization of numerous plays as Giovanni Testori’s I promessi sposi alla prova (Milan, Piccolo Teatro Grassi, 2010), Un amore di Swann by Marcel Proust (National Museum of Bargello, Florence, 2013), and Luigi Pirandello’s Non si sa come (Modena, Teatro Storchi, 2013). Always in 2011 he wrote several prologues and edited the dramaturgy of Georg Buchner’s Woyzeck by Federico Tiezzi (Pontedera, Era Theater, 2011). In December 2012, his drama La grande passeggiata, staged at Teatro Royal in Bari, with the direction of Federico Tiezzi and Sandro Lombardi as main actor, receiving excellent reviews from public and critics. In 2017 he was invited by Teatro Bellini in Naples to participate in the Glob(e)al Shakespeare, a project of six Shakespearean rewrites by contemporary authors: his Giulio Cesare. Uccidere il Tiranno, directed by Andrea De Rosa (with Nicola Ciaffoni, Daniele Russo, Rosario Tedesco and Isacco Venturini) debuted at Napoli Teatro Festival in the new edition directed by Ruggiero Cappuccio. In the same year, his play La valigia di Ravel made its internationally debut at the Maggio Musicale Fiorentino, making Sinisi one of the youngest authors ever to debut on the stage of the prestigious Tuscan music institution. He writes plays for Compagnia Lombardi-Tiezzi and Teatro Laboratorio di Toscana. Since 2015 he has been teaching Dramaturgy at the Flannery O’Connor School of Writing in Milan. In 2018 he will work as a resident playwright at Centro Teatrale Bresciano – Teatro Stabile di Brescia. He lives and works in Milan. In the evening of Friday before Easter, in the cathedral of a large European city, a Catholic priest receives a visit from a young woman. The two know well each other: the girl attended for years his parish when she was a child. However, seven years ago, she had run away to enlist in a terrorist formation. After these seven years, now she came back to ask for explanations, to give her reasons, to tell the incident. In a succession of six crossed monologues – six accusations, six closing statements, in which the theatrical word becomes the instrument of a showdown, the place of an extreme existential verification – emerges the ultimate reason for this visit: organizing the most sensational terrorist attack of European history. The president of the International Monetary Fund, Frederic Jean-Paul, has been arrested and detained in an anonymous police station in New York. He was accused of sexual assault on a waitress. His two bizarre prison officers, Donald and Frank, have the order to guard the prisoner until the next morning when he will be taken to a safer place. However, things do not go according to the established script: Jean-Paul manifests the signs of inexplicable disquiet; Barbara, Jean-Paul’s wife, and Marcel Labiche, his lawyer and secretary of the French Socialist Party, burst into the police station as well. Also, the two officers seem to impersonate something more terrible than two simple guardians. During the night the traits of a deeper story, not just about violence between individuals, but also between nations, political parties and power groups, emerges. Inspired by internationally renowned events, The Great Walk attempts to “re-use” the traditional drama-related conventions linked to tragedy: faithful to the dictation of Aristotelian units of time and place, it is composed of the regular lines of the Italian metric (hendecasyllable, seven and nine-sillable lines). Medea – Monologue of a foreign woman is the story of a woman that many Europeans often encounter on their own way: a young migrant who escaped from her own country and arrived in Italy with the hope of a better future, and ended up on the road, to prostitute, falling in love with a man from which she has two children but who actually exploits her. In the monologue of this protagonist – ironic, cruel, impetuous – we read the story of hundreds of thousands people, leaving their country with a dream and ending up, on arrival, in a nightmare. Medea analyzes a phenomenon – migration – and what it involves and means: what it costs. Medea is the story of a specificity, the “barbarian”, unknowable and yet, somewhat, familiar, that reacts in his own way to the country that hosts, fights and fosters it, perhaps giving rise to new stories, new stories, new tragedies. Finally, or perhaps above all, Monologue of a foreign woman intends to be part of a chain: the numerous rewritings of Medea’s myth. It reveals to today’s audience how the tragedy of a foreigner is not only a peculiarity of the ancient world as today, more than ever, it touches the Western man, and forces him to an existential and historical position.